The early 1920s were overshadowed by the defeat of the Spanish army in Morocco in 1921. The battle that would become known as the “Disaster of Annual” represented the loss of Spain’s dominions in the neighboring African country, and the fallout from the military debacle led to harsh criticism of the political regime, the military establishment and even the King himself. The end of the colonial conflicts and their consequences opened the door to a new century with various sectors of Spain’s privileged classes showing renewed interest in the creation of new banks. Madrid, Barcelona and Bilbao continued to be the country’s main banking hubs, although the development of the financial industry’s business varied in each region. Between September 13 and 15, 1923, Miguel Primo de Rivera, Captain-General of Catalonia, launched a military coup against the established democratic order. With the acquiescence of Alfonso XIII and support from much of the Catalan middle class –including the ex-minister Cambó– the insurrection led by Primo de Rivera was a success. The King himself appointed the rebel soldier to the post of Prime Minister at the head of a Military Directory comprising eight brigadier generals and a counter-admiral. Alfonso XIII‘s approval of the new situation recalled the events that had taken place in Italy one year earlier between King Victor Emmanuel III and Mussolini. Primo de Rivera justified the coup by citing the instability of a country which was becoming ever more ungovernable; the undermining of the army; the fledgeling communist-influenced workers’ movements inspired by the new Bolshevism from the Russian Revolution which caused such concern to the middle classes; episodes of violence, particularly in Barcelona; and the enormous difficulties of recent governments in guaranteeing property rights. The dictator took inspiration from the regenerationist movement to apply highly interventionist and nationalist economic policies, and was known for his distrust of private business initiatives. After two years of the Military Directory, December 1925 ushered in a new stage: the Civil Directory. The appointment of Eduardo Aunós as Labor Minister, the Count of Guadalhorce as the head of Public Works, and particularly José Calvo Sotelo at the Finance Ministry, set the tone for the economic policy of the Primo de Rivera period. Civil wars, banks that went almost as fast as they came, the brand-new issuing monopoly of the Bank of Spain, unrest in Spanish overseas territories… the later years of the 19th century sure did look challenging for institutions such as Banco de Bilbao. Although the bank had earned a solid footing in its home city, Spain’s situation at that time made it hard to tell how it would fare in the short and medium term. State spending increased, there was a huge investment in public works, and monopolies were formed, such as those granted to Telefónica (created in 1924) and CAMPSA (1927). A vast plan of hydraulic works was undertaken in this period, along with the extension and improvement of Spanish roads and railways, which increased the size and quality of the domestic market. The Civil Directory created a conglomerate of official banks to enable the State to oversee and direct the aid to the various components of the economy at that time, even though its ownership was in private hands. The Banco de Crédito Industrial (Industrial Credit Bank) was established in 1920, the Banco de Crédito Local (Local Credit Bank) in 1925, and the Banco Exterior de España (Spanish Foreign Bank) in 1929. The purpose of the Banco de Crédito Industrial was to consolidate Spanish industry and grant long-term loans. The investors comprising the shareholder structure of this new banking institution included particularly the Banco de Bilbao and the Banco de Vizcaya. The Banco de Crédito Local, whose first governor was none other than José Calvo Sotelo, was intended to fund municipalities and regional governments. The Banco Exterior de España was the accomplishment of a longstanding dream of the business sector, namely funding aid for foreign trade, and assistance in their relations with other countries and in their search for new markets. 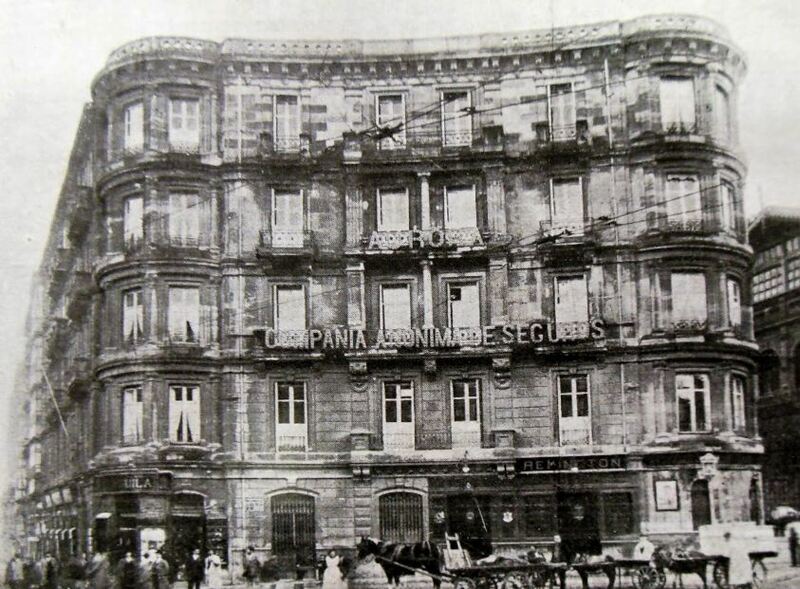 The Banco Hipotecario, which had been created in 1873 and continued to be funded by private capital, could have operated as a commercial bank, but it underwent a significant transformation with the change in its statutes to allow the entry of two directors on behalf of the State. The Banco Hipotecario changed its mission and became associated to housing construction policy. The progressive developments of the Cambó Law and the security and protectionism provided by the dictatorship led to the growth of the leading actors in the private banking sector. The number of branches rose, and there was also a rapid increase in coverage throughout the national territory. This was accompanied by a parallel surge in the number of customers and the volume of bank products, although there were undoubtedly significant regional imbalances in the banking industry. The big banks had 156 branches in 1922, a figure that rose to 475 in 1926 and to 791 in the last year of Primo de Rivera’s leadership, in 1929. The Banco de Bilbao, particularly after 1925, opted to reinforce its security by following a considerably cautious –albeit not excessive– reserve policy. In contrast, the Banco de Vizcaya, a younger and more aggressive bank, did not stock its reserves as substantially as its neighbor and obtained more spectacular financial returns, at the expense of paying less attention to security. In any case, both banks from Vizcaya can be said to have been the front-runners in what were generally prosperous times for the national banking sector as a whole, although undoubtedly complicated by Spain’s unique political situation. Both Banco de Bilbao and Banco de Vizcaya applied more stringent economic and financial criteria than the directors of the Crédito de la Unión Minera, their local competitor. Although it had considerably increased its share capital to 100 million at the start of the 1920s, it maintained unquestionably low reserves and invested large sums of money in speculative high-risk transactions that led to its demise in 1925. The Crédito de la Unión Minera‘s 92 million peseta deficit drove it to bankruptcy.